We are now able to offer our new Coloured Mdf Vibracol. 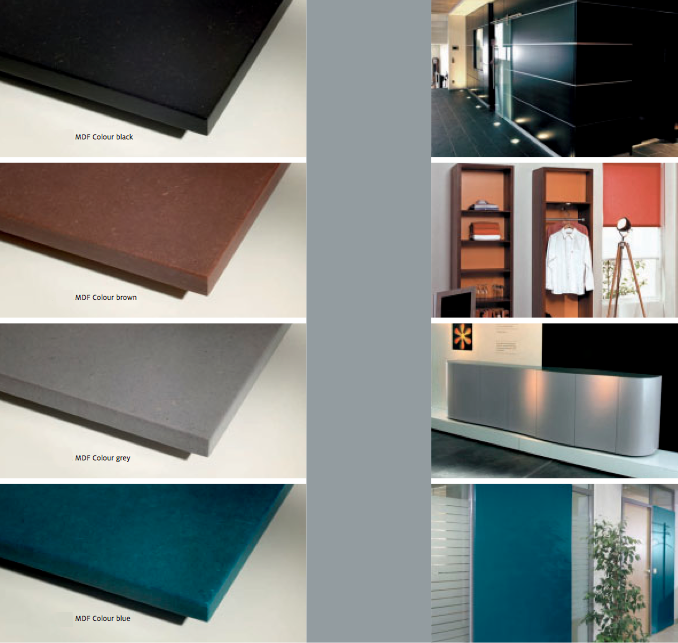 Vibracol is an MDF product with uniform colouring throughout. It also boasts high-quality formaldehyde-free bonding and high bending, transverse tensile and screw- holding strength. The application of skilfully debarked softwood and formaldehyde-free PUR resin guarantees a fine, dense surface. The homogeneous board construction, com- prising wood fibre and an extremely low concentration of minerals, prolongs tool life and opens up a diverse range of shaping possibilities. In addition, the innovative PUR bonding and the high-grade colourfast pigment formulation of the BASF paints guarantee excellent resistance to light and extremely durable, creative solutions. With through dying integral colouring meaning you don't need to repaint. Ideal for point of sale shelving and displays, furniture and panelling. 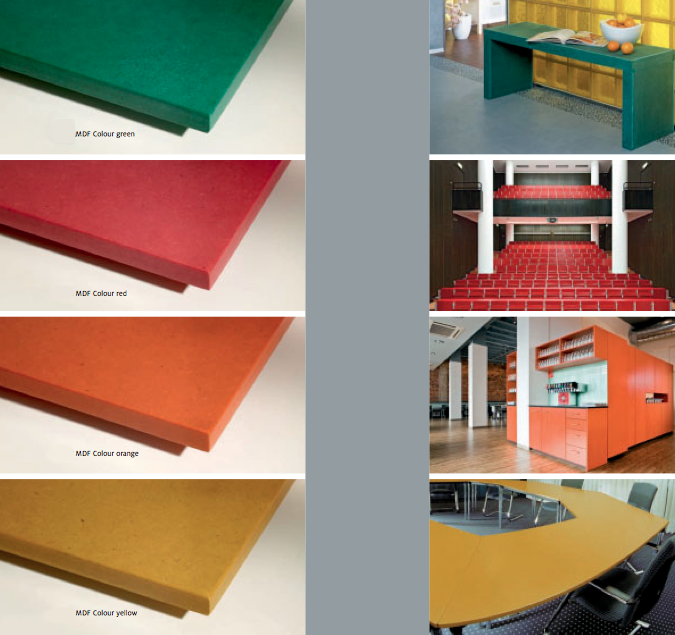 Vibracol Coloured Mdf is available in yellow, orange, red, green, blue, brown and black. Currently we have available sheets of 19mm thick (10mm available to order) and size 2070mm x 2620mm. We are also able to offer the Black only in an FR rated board. • Healthy and non-toxic due to the formaldehyde-free PUR bonding. • Brilliant colours, through-dyed and resistant to damp. • Excellent colourfastness due to unique pigment formulation. • Exceptionally long service life. • Versatile processing and application possibilities. • Easy to varnish, wax, veneer and coat. • High bending, transverse tensile and screw-holding strength. • Numerous areas of application both in domestic and business premises. • Highly resistant to damp. 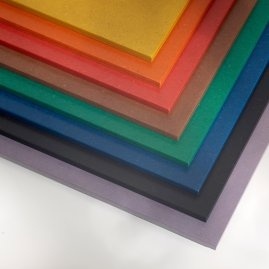 We also supply Coloured Mdf in 8x4' and 1250x2500mm sheets in various thickness.